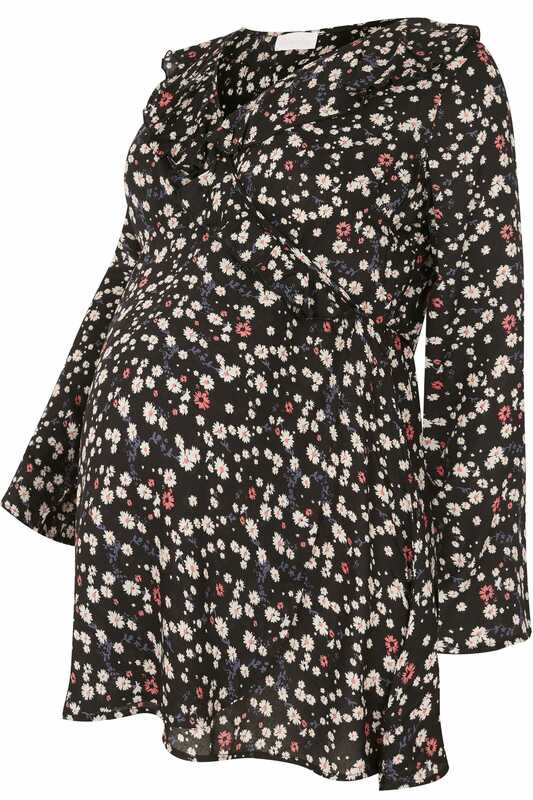 In a flattering wrap-over design, this stylish maternity top is designed to give a graceful swing shape, providing plenty of room for your growing bump. 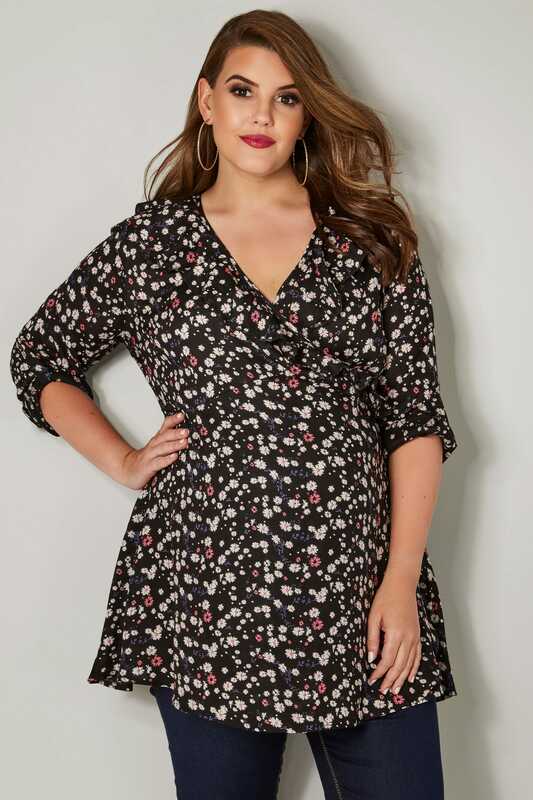 Toeing the line between smart and casual, it's perfect for dinner dates, meet-ups and weekend wear. Team with a pair of our comfortable maternity jeans and mules to finish the look. 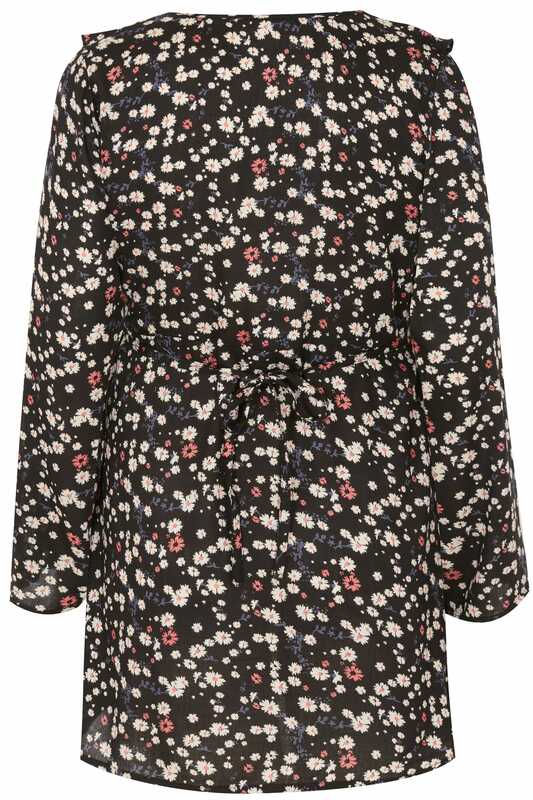 We love the pretty floral print and the feminine ruffle detailing.